Leonie Clarke: FALSIFIED OR “FAKE” medicines are a growing problem globally. Fake medicines are typically of dubious quality; they may be contaminated with unsafe fillers or have the wrong ingredients or not enough active ingredient or fake packaging. Counterfeit medicines are also fake medicines as they rip-off an original product. Fake medicines bypass tough safety and quality controls that apply to legitimate products so the person taking them has no assurances that the medicine is safe to take and puts their health at risk as a result. As falsifications become more sophisticated, the risk of fake medicines reaching patients in Europe increases every year. All types of medicines can be “falsified” – branded products, generic products, life-saving medicines and so-called “lifestyle” drugs. Falsification of medicines is an underground phenomenon and difficult to get accurate numbers on. According to most reliable estimates, the proportion of such medicines on the global market is around 7% and up to 50% in some Asian and African countries. Ireland is not immune from the threat of fake medicines. In 2016 alone, over 650,000 dosage units of falsified and other illegal medicines bought over the internet were detained coming into Ireland, according to the Health Products Regulatory Authority (HPRA). The HPRA works in partnership with Revenue’s Customs Service, An Garda Síochána and regulatory and law enforcement agencies worldwide, as part of the Interpol-coordinated “Operation Pangea” to tackle the online sale of counterfeit and illicit medicines for one week each year. Globally, the total value of illicit medicines seized and detained during Operation Pangea in 2016 was estimated at approximately US$ 53 million. 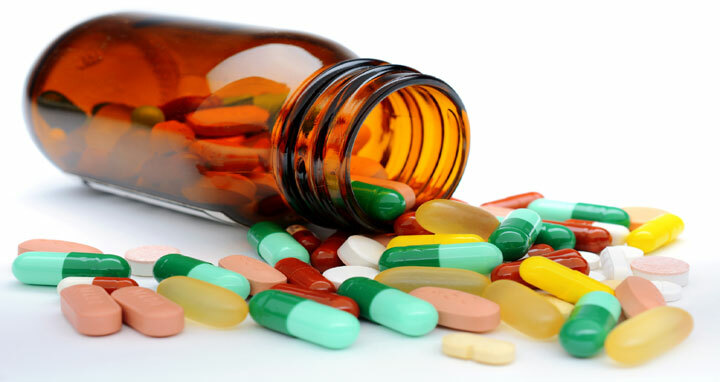 Among the 11.1 million fake and illicit medicines seized were cancer medication, slimming pills, anti-malarial and cholesterol medication, painkillers, erectile dysfunction pills, hair loss treatments and sedatives. People assume that fake medicines only come from illicit sources such as unregulated websites, and this is largely true as the internet offers endless possibilities for criminals to sell illegal medicines for profit. A staggering 4,932 websites selling illicit pharmaceuticals were suspended worldwide during Operation Pangea in 2016. In more than 50% of cases, medicines purchased over the internet from illegal sites that conceal their physical address have been found to be counterfeit, according to the World Health Organisation. To date, there have been no reports of falsified medicines being distributed through legitimate channels in Ireland, however, eight such cases were detected in the UK between 2011 and 2015 so the risk cannot be ignored. A new organisation aims to help protect patients from fake medicines being supplied through legitimate outlets. The Irish Medicines Verification Organisation (IMVO) has been established by key players involved in the supply of medicines in Ireland. These include manufacturers, wholesalers, distributors and community pharmacists. IMVO’s establishment is part of a series of EU-wide measures to tackle the growing threat of fake medicines. Part of IMVO’s work will include the introduction, as required under new EU legislation, of a new special barcode on all medicine packs. This barcode will contain a serial number and other details, which will allow a pharmacist to check that a medicine is legitimate. So what can you do to protect yourself from fake medicines? Don’t buy prescription medicines online to save money or bypass having to visit the GP; it is illegal and potentially dangerous. Buy your prescription medicines from a recognised and trusted source such as your local pharmacy. Non-prescription medicines may be purchased online in Ireland but before you buy, look for the special EU common logo on the website, in the form of a white cross on a series of green and grey stripes, that confirms that it is a legitimate supplier. Leonie Clarke is Project Manager at the Irish Medicines Verification Organisation.